In this book, you will find explanations based on scientific facts that reveal to us the power of positive language to improve our lives, our health, our productivity, and our happiness. It includes pioneering research that shows, more and more, how language and the words we choose have a vital importance with regard to the management of our emotions and the decisions we take. From this novel conception of language, Luis Castellanos and his team, experts in creativity, innovation, emotional management, and personal development depart from a neuroscientific perspective to offer us a three-phase plan to train our positive language with the conviction that the intelligent use of words optimizes the results of our life and makes us capable of improving our relations with ourselves and the world around us. Science tells us that we can train ourselves to use language differently and thus change the way we think. This book presents a path towards becoming more aware of the language you use with yourself and others, featuring exercises and training that will help you to become accustomed to using positive language in your everyday life. Words really can be magical. We need to learn to use them to the full extent of our capabilities. 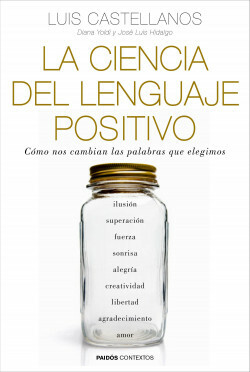 The science of Positive Language will show you how. Take care of your language and it will take care of you!